Do you follow calendar events in your early years setting? 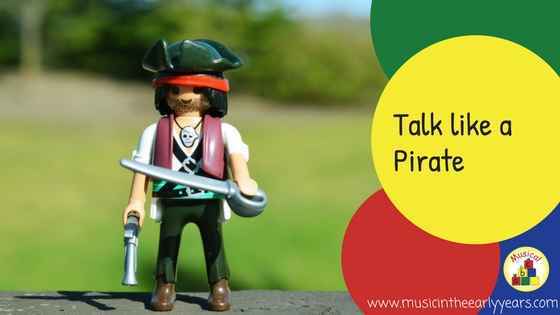 Did you know that on the 19th September it is ‘Talk like a pirate day’? Well, I didn’t until a couple of years ago. It hasn’t been around that long but I think some of the new events are quite fun as a starting point. 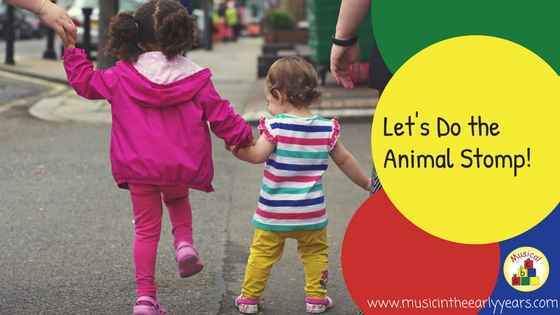 Whether, in your setting, you plan most of the activities or it is child led, themed days can be a great stimulus. Minibeasts is always a favourite theme/topic. 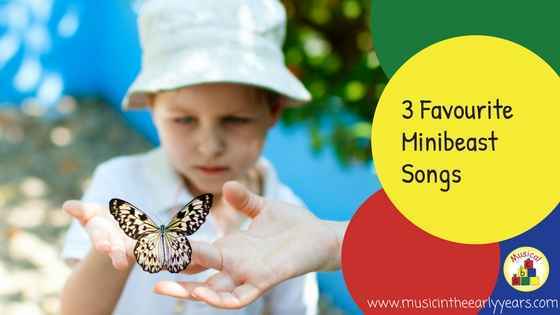 I’m going to share with you 3 songs that I know the children really enjoy. This is to the tune of 'She'll be coming around the mountain'. I usually use puppets when we do this song.But you can also just get the children to wiggle their finger for the caterpillar and flap their arms for the butterfly. Let’s Do the Animal Stomp! 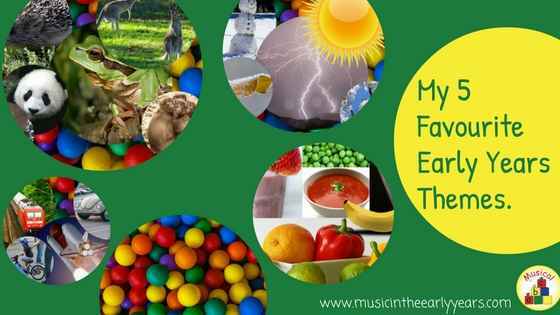 Do you have a collection of weather themed musical activities up your sleeve? 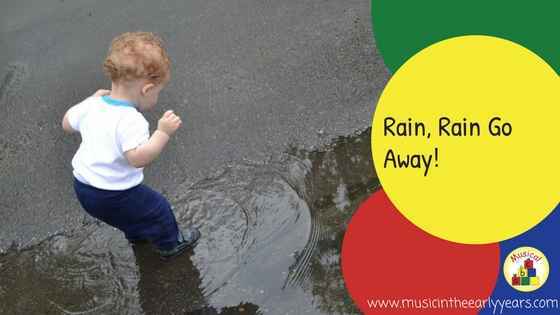 I always think it is worth having a collection of song or rhyme activities that you can call on. In this blog, I’m thinking about the weather, well rain! My 5 Favourite Early Years Themes. Is your favourite theme in my top 5? 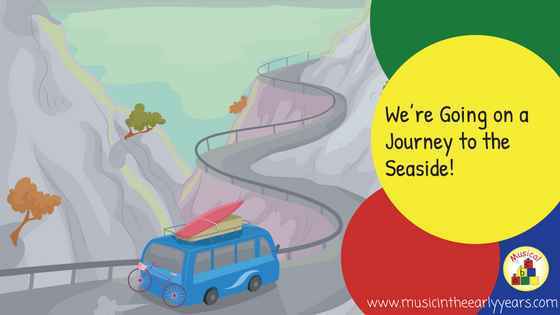 I link my music activities each half term to popular topic/themes; it works really well for my music times. Many early years settings link their daily activities to themes, topics and events. If you do this do you also link your music time activities to this too? Whether you do or not at the moment it is really worth considering. 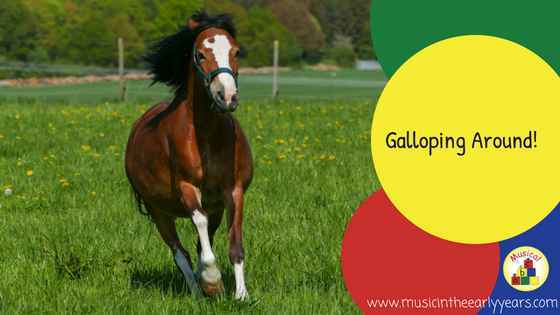 I have around 12 topics that I use but I’m going to share with you my 5 favourites.